Congratulations to "JoAn V.", the winner in Maureen's giveaway. Thank you to all who participated! Hello all! There was a cancellation so I decided to pop in and say hi to everyone, and to share some pictures from last weekend's ESCAPE INTO BOOKS book signing in Atlanta. 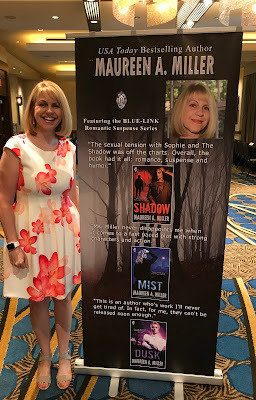 Several JUST ROMANTIC SUSPENSE authors were in attendance! Escape Into Books was a free multi-genre, independent book signing event. It featured authors at different stages in their career, from veteran New York Times and USA Today Bestselling authors to new authors who were attending their first signing. There were over 30 authors in attendance. It made for quite an entertaining day for readers to experience a wide array of authors, and to pick up some fun swag! 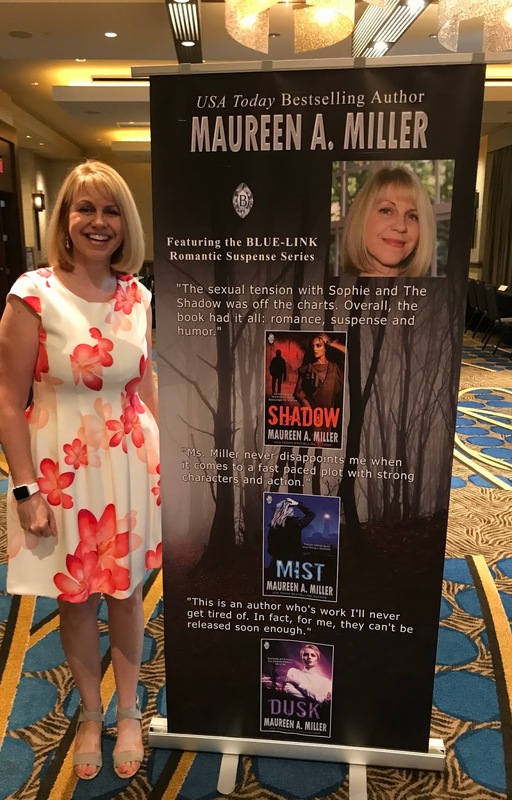 I was there showcasing my BLUE-LINK romantic suspense series. I had blue diamonds on my table because the series features an enigmatic woman who wears a blue diamond ring and runs the global company, Blue-Link. The lovely and talented, Misty Evans was there promoting her SCVC TASKFORCE romantic suspense series along with her SHADOW FORCE INTERNATIONAL romantic suspense series. And we had the uber-awesome Dianna Love sitting a few tables down from us featuring her SLYE TEMP romantic suspense series. Dianna was surrounded by adoring fans at this event, and I was one of them! What are your thoughts on giant book signing events? Are you more apt to head out to the book signing of a specific author, or do you like the idea of browsing past a diverse group of authors and seeing all your reading options? Test out some of these romantic suspense series for FREE or a super low price! DEADLY PURSUIT, the first book in the SCVC TASKFORCE series is only $0.99! 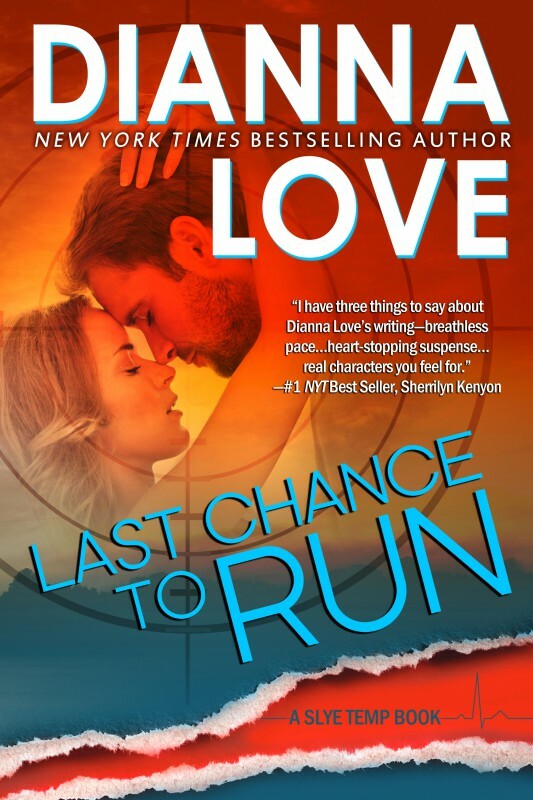 LAST CHANCE TO RUN, the prequel of the SLYE TEMP series is FREE! SHADOW, the first book in the BLUE-LINK series is FREE! It looks like all of you had a great time. Attending a conference with authors and book signing events is on my bucket list. Maybe some day soon. It would be wonderful to meet you, Joan! I was considering attending the one that will take place in Rome next year, but decided against it as it's more for NA authors and readers. If they have a romantic suspense authors signing in Italy, then I'm in!! Would love to meet you, Natalija. I've never been to a book signing but it's on my bucket list of things to do! A book signing sounds so fun! Thanks Liz, it was! Great to see everyone. I've never been to a book signing but would love to. Would love to meet you at one, Jonetta! I have never been to a book signing. Not interested. I have never been to a book signing but would love to go to one. That's fun when it's a consistent theme like that. No I have not gone to a signing, but once I did go to a romance convention. Would love to meet you there one day! I have been to one book signing. It was a wonderful morning. The author spoke for about an hour, there was a morning tea and of course books to buy. That does sound wonderful, Mary! I go to every book signing I can get to. 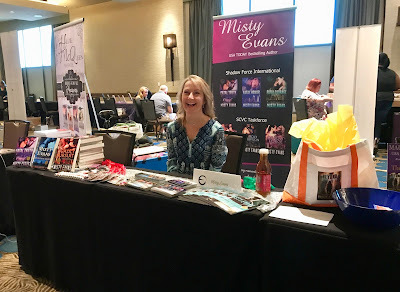 Loved meeting everyone at Escape Into Books this year. Can't wait to see you all again! So glad you could make the trip to Atlanta! I go to many book signings and always have a great time. That's great to hear, Sherry! 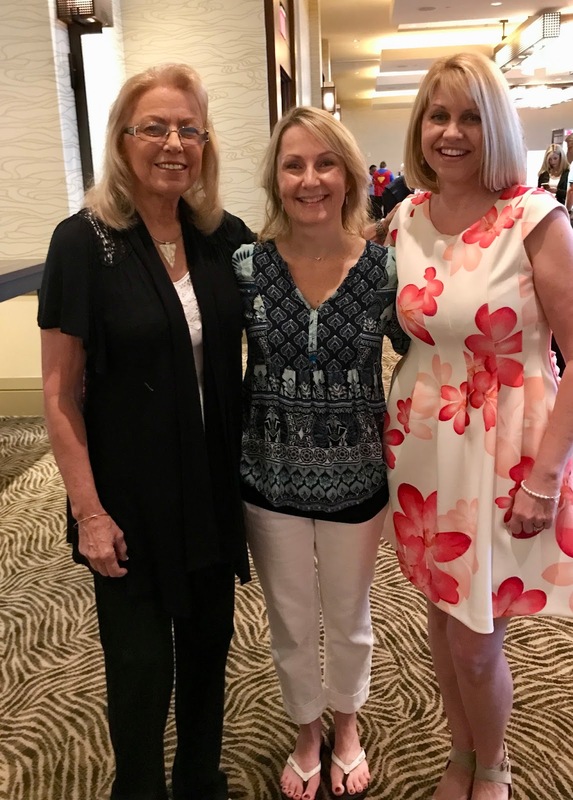 Went to the Escape into Books in Atlanta and had the opportunity to meet you, Maureen as well as Misty Evans, Dianna Love and many more wonderful authors. I would definitely do it again! So happy you came, Connie! It was wonderful meeting you. I've never been to one. Where I live we just don't get them and I don't do any traveling due to my severe RA so I haven't had the opportunity. I'd love to though. I have been to many and would go again. It is enjoyable to meet authors and talk with them. It is nice to know a little about the person behind the books you are reading. I can remember picking up a book and looking at a picture of Nora Roberts, and thinking, "hmmm, I wonder what she's like?" Fortunately, I've had several opportunities to meet her and she is a wonderful woman. I love going to book signings. There's a special kind of high being surrounded by so many authors and books! The hard part about traveling is not being able to tote my books around with me. I have only been to a couple of author signing events, but have enjoyed them so far. I have been drawn to them because authors I already read were going to be there. I have met many new authors that way such as Julie Ann Walker, Jasinda Wilder, Marina Adair, and several others I hadn't read prior to the events. I do feel I need to research the authors prior to the event though so I know what types of books they read and can plan accordingly. However, sometimes it is nice to just meet an author and have them tell me about their books too. While I do enjoy print books, I wish instead of just having those, we could somehow pay the authors for digital books when going to events. I prefer to read digitally since I always have my phone! It would have been so much fun to meet you, Dianna, and Misty in person!